St. Cloud, MN — The St. Cloud Rox are excited to announce the organization’s sixth annual Military Appreciation Night presented by Advantage … "Full Story"
St. Cloud, MN — The St. Cloud Rox and Sentry Bank are once again teaming up in 2019 to reward nine youth … "Full Story"
After the conclusion of every Northwoods League season, St. Cloud Rox players come and go in hopes of advancing their baseball careers … "Full Story"
St. Cloud, MN – The St. Cloud Rox Baseball Club announced today that the organization has strengthened its pitching staff with the … "Full Story"
The St. Cloud … "Full Story"
St. Cloud, MN – The St. Cloud Rox Baseball Club is excited to announce it has launched a brand new Charitable Foundation … "Full Story"
After nearly a month-long journey of fans voting on various media personalities around the St. Cloud area in conjunction with March Madness … "Full Story"
CapitalOne Media Madness Bobblehead Bracket! The St. Cloud Rox are excited to announce the organization is accepting applications for the “Share the Glove” Youth Equipment Grant Program … "Full Story"
St. Cloud, MN – The St. 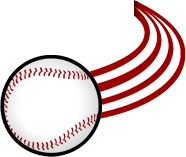 Cloud Rox today announced the organization has signed two Major League Baseball draftees and SEC pitchers … "Full Story"